Are LED grow lights good for growing seedlings? Are LED grow lights cheaper to run? Can you use white LED lights to grow plants? Light Emitting Diode (LED) lighting is commonly associated with prosperous indoor cannabis growth operations; be it for medicinal, recreational or commercial practices. The reason these devices have sprung into mainstream usage is because of their expansion in the full color. Particularly, the fine-tuned spectrum that they emit that enables optimal plant maturity and health. LED grow lights deliver high-energy consumption efficiency. In contrast to HID lighting systems, consumers express satisfaction to find that LEDs use 50% less energy. LED systems regulate even distribution of light via specialized, pre-focused lenses over plant canopies. Thereby, avoiding hot spot and dead zone creation. Instead, they establish a state of equilibrium that promotes combined penetration and overall rapid growth in all the plants. 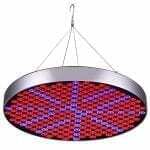 They comprise hundreds of LED Chips, each emitting light in narrow bandwidths of the visible light spectrum. Thereby, delivering accurate, customizable wavelengths. You will reduce the risk of damaging plant growth and weed leaf discoloration by overheating. Since these lights run at far cooler temperatures. 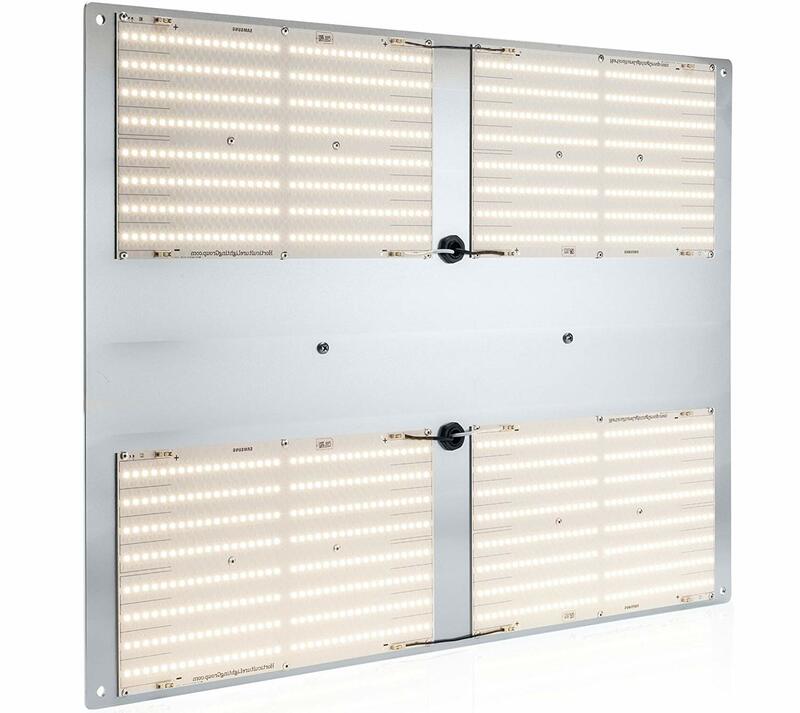 Multiple small LED light panel establishment promote higher yields of better quality cannabis. LED grow lights do not emit harmful Ultraviolet Rays or Infrared Rays. Thus, the cannabis has not only a higher survival but wellbeing rate as well. Usually, horticulturists incorporate LED Lights into their green havens. This is a testament to the statement that yes, they are a decent instrument for your own indoor plantation. To begin with, for the stimulation of productive vegetative growth and flowering, red light needs to be present. Moreover, for adequate seedling growth, blue light must be present. LED (mercury free) Bulbs emit both blue and red lights. They also emit a combination of intense purplish glow that aids in a more fruitful plant produce. Secondly, bulb wattages are crucial with regards to the delivery of light intensity that is essential in high dosages by seedlings. LEDs have statistically proven via research by Michigan State University that seed germination rates are much better under LEDs. Starting with physical durability and hardiness, the manufacturing of LEDs is mercury-free meaning that they are much more shatterproof than glass. Therefore, one doesn’t have to replace them that often. Although, the initial short-term investment seems larger than say fluorescent lights. However, they can survive 5 times longer for more than 11 years on a 24/7 schedule with no maintenance requirements. Thus, the above features reaffirm their ability to run as a cheaper long-term cost-saving tool with a high return on investment in the bigger picture. They require no purchasing of lamp changes, burnt out filament system changes, ballasts or reflector replacements or reflective wall coverings, unlike other light sources. They assure 40-60% reduction in electricity utilization, but zero compromises in growth-targeted electricity output. Thereby, directly deducting numbers off the electricity bill. This is because LED Diodes do not burn anything for the purpose of producing light. Moreover, their highly efficient in-built cooling fans and overall cool running temperatures eradicate the need for supplemental cooling mechanisms like air conditioners. Instead, small intake fans and exhaust fans function just as well even throughout the summer, lowering overall operation costs and thermal buildup. This directly results in an ongoing, uninterrupted, yearlong garden revenue stream. Not only have recent economies of scale and high demand pushed down the price of LED purchases, but they also ensure that LED lights come with all-in-one fixtures to disregard the need for additional purchases. Large, commercial-type greenhouse LED lights usually have a history of being successful at fulfilling the role of grow lights; however, the jury is still out for when it comes to household type LED lights for planting setups. Traditional Panels with small to medium wattage diodes and compact lamps. Quantum Boards with relatively low wattage diodes spread out at a distance on the board. COB styles with big COB diodes with strong lenses. Spider Style with independent diodes set on a panel with spider-like arms. Cool white LED bulbs are famous to bring the most necessary light wavelength for plants to the table. Essentially white LEDs are a combination of different light color wavelengths in the electromagnetic spectrum. They are just blue LEDs with a phosphorus coating of Yttrium Aluminum Garnet (YAG) that mainly produces yellow light. However, they are less efficient than single-wave blue LEDs and compared to fluorescent bulbs they do not provide a broad-spectrum light. Platinum LED uses the CREE XM-L2 warm light (2700-3750K) diode in the case of supplemental light in the XML2 series of panels. Clones and seedlings grow well under the Action Spectrum, which comprises more full-spectrum white light. So, for this particular developmental stage, the BOOST switch can be employed. Using them occasionally as supplemental lighting, or for the aforementioned reason should be the only purpose as they’re only good at evoking growing power in very young plants. Since LED’s electroluminescence technology can only produce one color of light, by itself they cannot produce white light directly from the diodes. So, 20-40% of the light produced via blue LED is lost in processing, hence resulting in reduced efficiency as compared to pure-color LED. Therefore, a colored LED is relatively useless. Much of the light produced by white LEDs cover a color spectra not utilized by plants. They prefer red and blue light to be absorbed by Green Chlorophyll A and B for photosynthesis. These are more or less designed to serve humans, not plants, as only 40% of usable light is produced. 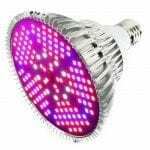 LED Grow lights have proven to be efficient workers in being energy efficient, highly durable, compact, productively stimulating plant growth and possessing adjustable wavelengths. There are certain elements to cross of your check-list when picking the right grow light. These include electricity output and consumption, hardiness, low heat output, the plant growing space it can cover, a quality semiconductor chip, good warranty and reliable customer service. Also, it needs to be appropriate to your species of plant, full-spectrum LED lighting, single or double channel models, ease of use, programming options and preferably an established brand reputation. Ticking all of these boxes will ensure a fruitful outcome of the growing process with your LED grow light. 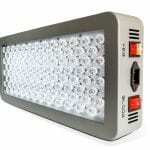 LED grow lights have been increasingly popular lately among indoor growers. They provide high-energy efficiency at a low cost. While models are getting cheaper and LED grow lights are increasingly interesting. The arising question often is: do LED grow lights work? Previous article How to grow heavy buds?